It facilitates “the deliberate and morally unacceptable killing of a human person” (Gospel of Life, n. 65). 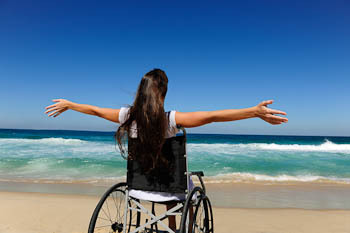 It promotes a most insidious form of discrimination, especially against the disabled. Certain people claim for “themselves the power to decide who ought to live and who ought to die” (Gospel of Life, n. 66). It harms the integrity of the physician/patient relationship. What Can Be Done to Oppose Physician-Assisted Suicide? JOIN with other concerned citizens, including disability rights advocates and members of the healing professions, to stand for the dignity of people with serious illnesses and disabilities and to promote life-affirming solutions for their hardships. PRAY for people who are seriously ill and dying and for their caregivers. VISIT the sick which is one of the corporal works of mercy. AVOID believing the misleading language of the “dignity,” “mercy,” or “compassion” of doctor-prescribed suicide. WORK TOGETHER to build a civilization of love—a love which is stronger than death.